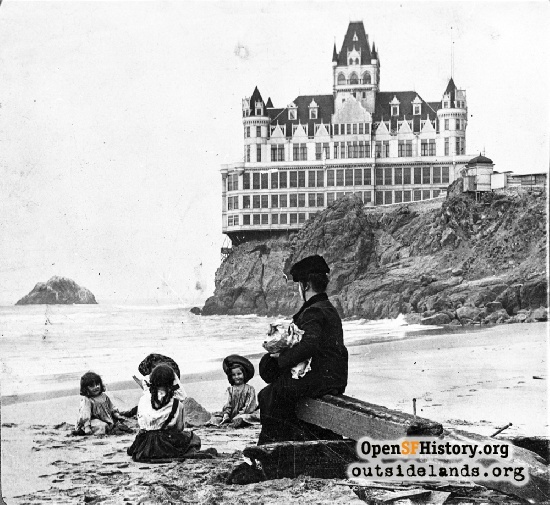 Five stories, four turrets, numerous spires, a massive central tower, and dollops of gingerbread later, Adolph Sutro had a Cliff House to his taste. The architects, Emile Lemme and C. J. Colley had already been commissioned to design Sutro Baths in the cove just to the north, and, micromanaged by Sutro, had a design ready just months after the ashes had cooled from the fire that had destroyed the first Cliff House. 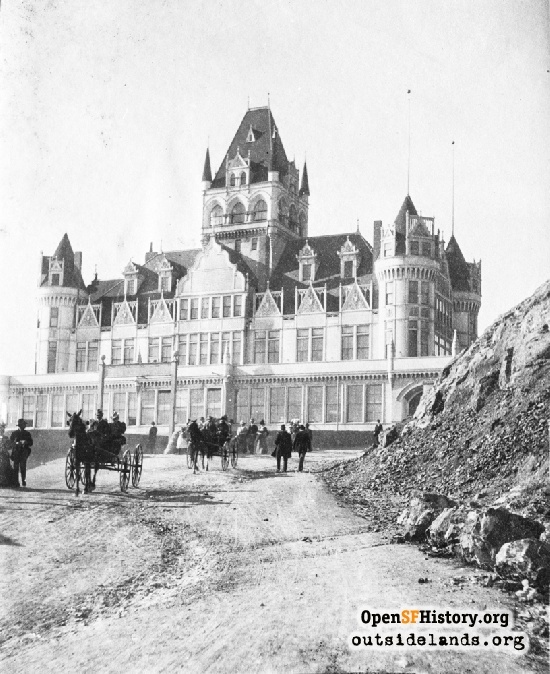 Officially opening February 1, 1896, the new incarnation featured restaurants, art galleries, parlors and lunch rooms, settes and verandas. 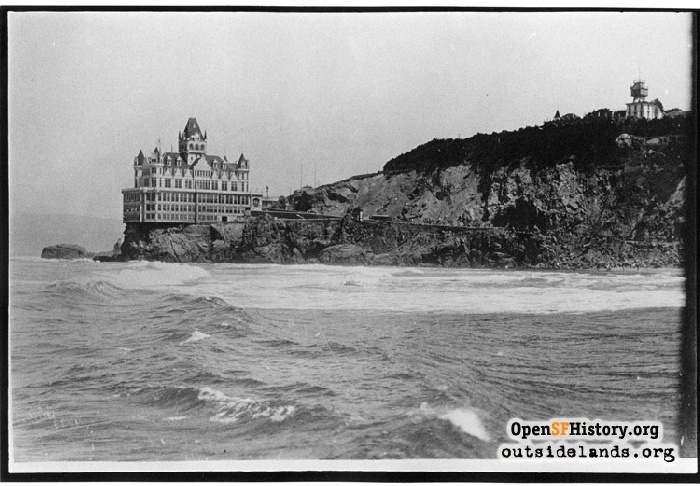 Meant to resemble a French Chateau, overhanging the cliff edge and visible miles down the beach or out to sea, the Victorian-era Cliff House was a postcard photographer's dream. Despite its solid castle-like appearance, the structure was constructed of wood by contractors Campbell & Pettus for $42,000, and Sutro's lessee, James Wilkins reported an additional $20,000 invested on interior furnishings. With marble floors, electric lights, an elevator and twenty private dining rooms, the Cliff House was a long way from its ramshackle roadhouse origins. 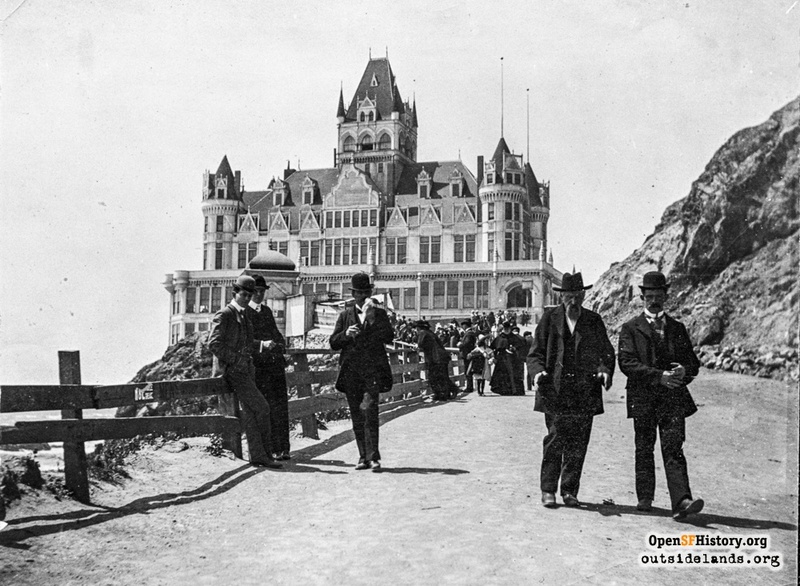 Despite such contemporary opinions, since the early 1970s, rangers and docents at the National Park Service and Golden Gate National Recreation Area report are frequently asked by visitors why the multi-spired Victorian version wasn't rebuilt as it was (and suggest it should be constructed even today). Sutro's daughter, Emma Merritt, had different ideas. 1. The Argonaut, September 14, 1907, Vol. LXI, No. 1590. 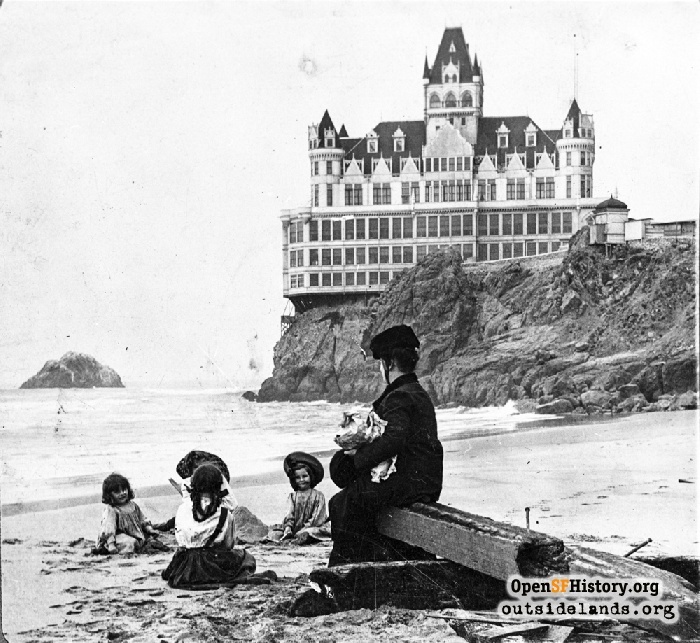 Contribute your own stories about the Cliff House!